So Much for Christmas was written by Todd F. Cope. 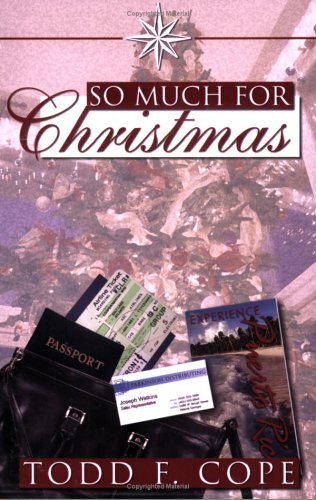 So Much for Christmas was published by Cedar Fort. Subjects of So Much for Christmas include Children, Fiction, Fiction - General, General, Maternal deprivation, Mother and child, and Puerto Rico. About Todd F. Cope (Author) : Todd F. Cope is a published author. A published credit of Todd F. Cope is So Much for Christmas.